About 80% of people in industrial nations are, in varying degrees, suffering from back pain. 30% are considered to be chronic. Most backaches, though, are avoidable. More and more young people are prone to this problem, even whilst pupils and students. This is a very serious problem for the person involved who suffers because of the lasting effect on his psyche. This is a problem for his family too, because the sufferer carries his sorrows and pain into his family life. And of course this is also a problem for society, not only because of the huge costs for health insurance and pension schemes, but also for quality of life. There are many reasons for "back problems" such as distress, not enough training for body and muscles, restricted physical movement (some orthopaedists call us "homo sedens" instead of "homo sapiens"), being overweight, hard work and our environment. Environment means all the things we use daily like our bed, car seat, chair, office chair, desk, the workplace generally, upholstered furniture, bicycle and so on, right down literally to the shoes we wear. Footwear should protect joints and the spine; the right footwear can help to avoid backache. Considering the problem of "back pain" means we have to consider the mental, the physics and the environmental factors of the patient. All these circumstances have to be taken into consideration. Comprehensive problems often need comprehensive solutions. Interestingly, patients might fear a hernia but more than 30 percent of the people that are older than 40 years live with a hernia without having any problems. Often they don’t even know about their disease. In many hernia cases the patient doesn’t even have to undergo an operation. Looking at the x-ray pictures of the spines of jockeys very often there is spine damage to be found. But despite this jockeys very rarely have back pain. Perhaps their muscles are so well trained they compensate for the problem. More often than not there are several reasons responsible for back pain. This is the difficulty of diagnosis, prevention and therapy of back pain. What many people (even experts) are often unaware of is that non-ergonomic products also are responsible for backache. This is why the ergonomic quality of a product needs to be considered too. Very often the manufacturers of different ergonomic products promise that their product will help in the fight against back pain but in many cases they can’t keep their promise; in some cases the product is even bad for the spine. Ignorance seems to predominate. No matter what kind of therapy the physician recommends the use of ergonomic aids and ergonomic products should be part of each treatment. Of course ergonomic products are also a helpful prevention against back pain. Ergonomic products and ergonomic furniture are an important contribution in preventing and reducing the patient’s problem. Ergonomic quality is desirable, and urgently needed. In 1997 we (AGR) surveyed nearly one thousand orthopedists in Germany. Here are some of the most important results: "back problems on the rise", "patient suffering results from exposure to unhealthy conditions", "ergonomic aids determine therapeutic success". Until today these items are very often disregarded: Therapeutic aids, ergonomic furniture and other common objects we are using during the day and night. But who knows about ergonomics, who can define what proven ergonomic quality really means? Engineers and designers, who create the products, have a technical education but no medical knowledge. Most of the ergonomic experts do not have any medical background. So how could they develop ergonomic products with medical benefit for people? Children might still be using the same school furniture as their parents did, even though their anatomy is very different. Physicians or therapists often have an opinion about ergonomics but, just as often, this is only a shallow knowledge. Ergonomics is not part of medical education at university. Only a few medical experts ever study or examine the effectiveness and benefit of ergonomic products. Experts and amateurs need much more and much better information than usually exists. This topic should become an active part in physicians consulting. Patients need much more advice, because better advice means better help. Another problem is the patient himself. We are used to and we prefer the most comfortable way to solve our health problems. We like to avoid strain, and we expect a pill that will easily solve all our problems. Often we don’t even trust the physicians that recommend changing behaviour instead of just prescribing a medicine for our problem. The benefit of effective medicine is undisputed. It is important help with many diseases, but it is not always necessary, and in certain cases not the only help. If the physician doesn’t prescribe the wanted medicine we are often disappointed. It is a fact that back pain is one of the main reasons for workers being unfit for work, and for lost working hours in the economy. This increases the costs for employees, and besides that, reduces the employee’s quality of life. Examinations made in Germany show that 40 percent of children aged between 10 and 12 years are adipös; simply put they are too fat. American kids aged up to 19 spend 5.2 hours daily in front of electronic mediums such as the PC or TV. No wonder that kids already have back and joint problems. It’s not difficult to foresee that they will get diseases like heart problems and diabetes. Diabetes is one more disease that will create more costs for patient treatment, and this will reduce the quality of life of our children. Ironically some doctors say "we are raising the generation that will probably die before their parents". This saying shows how serious the problem is right now and to what extent it will increase in the future. To reduce back problems we have to change our behaviour first of all. More sports, more training, more movement, less sitting, better nutrition, less obesity, less fast food, less chocolate and chips. More sports means lower weight, and more sports also improves the mind and relieves stress. More sports also means that our muscles are in better condition, which is always helpful. Medical experts are discussing if this really helps to prevent back pain because many people engaging in sports often have backache. But it is proven that better conditioned muscles at least help to recover much faster. Besides the "changing of behaviour" it is important to change environmental factors into high ergonomic quality. But who defines what ergonomic quality really means? What attributes, what criteria does a product really need to fulfil to be helpful? This question is difficult to answer. On behalf of AGR two medical unions built up a multidisciplinary group of medical experts, such as orthopaedists, doctors for employment, physiotherapists, and other medical scientists. The job of these experts is to define the needed ergonomic quality of products, as a general consensus, and after that they will test if the product fulfils the necessary criteria. This is a neutral procedure, done by neutral experts, and the manufactures don’t have any influence over this process. If a product does fulfil the interdisciplinary developed ergonomic demands it is awarded with the AGR Seal of Approval. The AGR Seal of Approval is the basis of all AGR publishing and the basis of all AGR information. This Seal of Approval is well known, especially in Germany, and it is accepted by medical experts and patients. Physicians, orthopaedists and physiotherapists recommend their patients to use these kinds of therapeutic aids, ones with proven ergonomic qualities. They regard it as a decisive factor in the success of treatment. Ergonomic products are a necessary and important element in the prevention and treatment of back pain. With all of this in mind our feet and our shoes need to be thought about too; of course shoes need highly designed ergonomic qualities. This can and will help to prevent and reduce back pain. The hard ground we walk on (interior flooring, paved sidewalks, streets made out of concrete) is the main problem. Our feet are not made to constantly walk or stand on hard ground. We would prefer to walk in the woods or in the sand or on grass, just like we did in the past. But the way we live and work nowadays doesn’t give us the chance to do this. Especially our heels are very sensitive. They shouldn’t be subjected to all these shocks; unabsorbed shocks from walking on hard ground are like poison for our spine and of course they hurt the joints too. Neither the feet nor the spine can take these shocks over a long period of time without getting problems. Tired feet, back pain and headaches are some of the results of permanently walking and standing on hard surfaces. This proves the necessity of footwear with highest ergonomic quality. Unfortunately a lot of shoe manufactures don’t take this problem into consideration when they design and produce shoes that we buy and wear. They might offer modern designs, dictated to by fashion, and this results in unhealthy footwear. The trick is to combine fashion and health. Shoes seem to be made for the eyes, not for our feet. Just think of some modern shoes: a very small pointed toe that may cause foot deformations, high heeled shoes or shoes with platform soles. All this is unhealthy and may cause back pain and other health problems. Information needs to be given, because only well informed patients will become well informed customers. Their demand for ergonomic footwear can put pressure on the shoe manufacturers. This pressure is needed to force manufactures, from different lines of business, to develop, to produce, and finally to offer products of high ergonomic quality. This would be for the benefit of the people and it would also help the companies to sell more and better products. It could be a new economic benefit for the manufactures too. Public pressure is needed to change this present situation. Today we mainly find two shock absorbing systems in shoes. They work with either air or gel. Mostly these systems can be found in sports shoes. Often they are used in the front foot area and under the heels. But biomechanical examinations show that shock absorbance in the frontal foot area is not really helpful. Perhaps it is helpful in the sale of shoes. A functional shock absorbing system is only needed under the heel. There is one disadvantage with air and gel. This material slowly wears out and loses its function. This is a very slow process, so the person who wears the shoes doesn’t notice it. At the end he is using shoes without working shock absorbance. He will not notice this but still believes that the system works. The technique of a good shock absorbing system should last longer than the shoe does. A functional shock absorbing system has to give optimal protection for back and joint. Individual absorption for individual body weight is needed. Optimum absorption protects the spine. Often the shoes we are trying to fit into are too small or not wide enough or both. To be able to slip in, we try the next one or two bigger standard sizes. When finally we can slip into the shoe, it fits in the width, but not in the length. In this case there is too much room for the toes left that may cause problems like stumbling, slipping, moisture and skin problems. Military parachutists often broke their ankles when they came down to the ground. Examinations proved that the reason for this was "too much room in the front foot area". If there isn’t enough room for the toes there will be other problems, for example foot deformation and sore toes. Our feet are different in width. To cover 95 percent of the widths of feet there should be five different widths in shoes, failing that at least four. A good shoe will fit as though it was tailor made. The right size of the shoe is important for another reason: the shoe’s climate is also important for our feet. The optimum skin temperature for feet is between 28 and 32 degrees Celsius. This temperature feels comfortable and prevents hot or cold feet and skin problems. As an aside, shoes should have the chance to dry out after being worn so wear shoes on alternate days instead of wearing the same pair of shoes for several days. It also makes sense to use a special shoe deodorant. Shoes should be made out of breathable materials, and this applies to the glue used that sticks the different sole layers together. Heel guidance is helpful to stabilise feet and ankles. For example mountaineers need such help. Further optional criteria depend on usage. The shoes of a mountaineer need different options than the shoes of a person working in an office. The shoes of a housewife differ to the shoes of a nurse or the shoes of a teacher. The needed options for the shoes of factory workers are different too, depending on their kind of work. Some need toe protection out of steel, or aluminium because of the weight. Some workers will need protection against chemicals, fire or electrical charge. There is a long list of needed options for different purposes of different users. 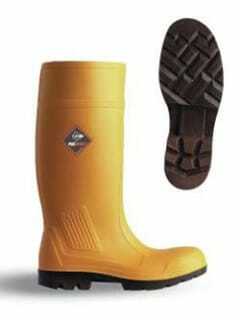 Safety footwear manufactures offer a lot of useful options. Sports shoe manufactures offer a lot of different shoes for different kind of sports: walking, tennis, football, golf, and so on. There are indoor shoes and outdoor shoes, all kind of different shoes. Many of these shoes give us options but they might never be needed. On the other hand, ergonomic quality is benefited from every time the shoe is worn. The important considerations are perfectly fitting shoes in width and length, tailor made you might say, and a functional weight- dependent shock absorbing system might be included. Heel and ankle guidance, and the use of breathable materials should be standard for healthy shoes. All these things contribute to good health of the feet, joints and spine. Healthy footwear is an essential element in providing and reducing back pain. This goes for young people as well as older people. All the different kinds of shoes that we wear every day should fulfil these medical criterions. Asking shoe manufactures for healthier footwear drives the advancement of design. Ergonomic shoes need to fit perfectly with individual physiques in mind. Unfortunately this "perfect fit" is seldom found, even though the "perfect fit" of an ergonomic product is absolutely necessary for the users health.